Find out here if a visit to the bears matches your… tourist style! You can visit the Libearty sanctuary from Tuesday to Sunday. On Mondays it’s always closed for maintenance! The sanctuary can only be visited with guided tours conducted in Romanian and / or English. The tours take place with groups of maximum 50 people. The visiting schedule varies depending on the season. Please view the visiting times specific to each period of the year. The most important for us is the animal welfare, therefore we will always do our best to protect them and provide them comfort. The main PURPOSE of the Sanctuary visits is educational. Please pay attention to the “Visiting Rules” section! Attention! The Sanctuary is NOT a Zoo. Please pay attention to the visiting rules explained by the sanctuary guide! It takes about one hour and represents a walk along a forest path of approximately two kilometers. This way, you will discover the stories of the bears that are now living in the sanctuary, the purpose of this place and you may ask questions. Recommendation: To make sure you can join the tour you want, but your tickets online! Otherwise, we cannot guarantee that you will find tickets at the cashier! It is a special tour, for people who are travelling slowly or cannot keep up with a compact group, on a regular tour. This tour can be organized only if there are at least seven paying adults and a maximum 23 visitors. 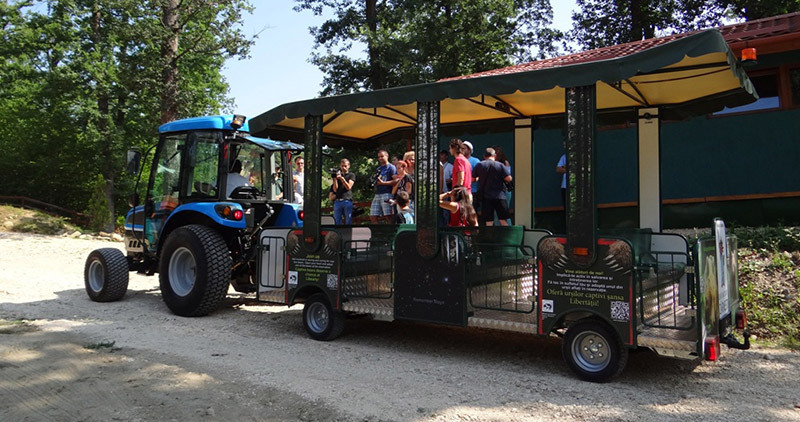 During the train tour, you will get a free guide and the place in the train costs an extra 20 lei for the adult and 10 lei for the child, in addition to the entrance fee charged for that season. For the train tour, it is necessary to book at least 48 hours in advance by e-mail at: milioanedeprieteni@gmail.com or by phone at: (+40) 268 471 202. These tours are organized during the visiting hours. The chaperones who benefit from free entrance do not have to pay the train ticket, within the limit of one chaperone for 10 children! The train is available during the winter program, only if the weather conditions allow us to operate it safely! YOU CAN OBTAIN INFORMATION ABOUT THE TRAIN’S AVAILABILITY AT THE TICKET OFFICE AS WELL. * Reservations for Tuesdays can be made until Fridays at 15.00 and are considered firm only after the payment of the tour, by Bank Transfer or PayPal is made. Those who want to have the full attention of their own guide can choose this tour, which takes place along the classic route and lasts for about an hour and fifteen minutes. The cost is 150 euros (the guiding fee applies to the whole group) plus the price of the sanctuary ticket for each person. Attention! Reservations for the private tour will be made at least 48 hours in advance, by e-mail at: milioanedeprieteni@gmail.com or by phone at: +40 268 471 202 (available for reservations from 9.00 to 16.00 Monday to Friday). It is the most complex tour that the sanctuary visitors can enjoy. It lasts for about two and a half hours on a four-kilometer-long route. 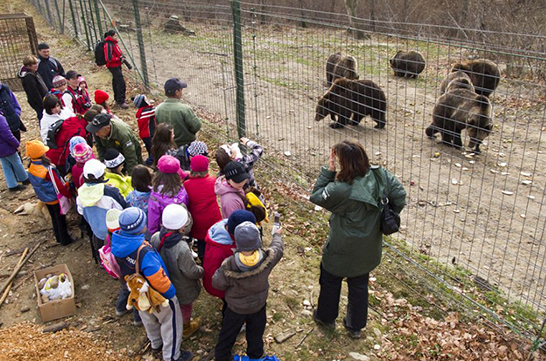 The route includes a visit to the first Teddy-Bear Museum in Romania, and the bunker from where the bears can be observed in the middle of their enclosure. The VIP tour is available at 9.00 AM, during the spring, summer and autumn schedule and 10.00 AM during the winter schedule. The cost includes a private guiding fee of 150 euro/group + a fee of 50 euro/person. To join a VIP tour, you must book at least 48 hours in advance at (+40) 268471202 or by e-mail at: milioanedeprieteni@gmail.com. *Reservations for Tuesdays can be made until Fridays at 15.00 and are considered firm only after the payment of the tour, by Bank Transfer or PayPal is made. 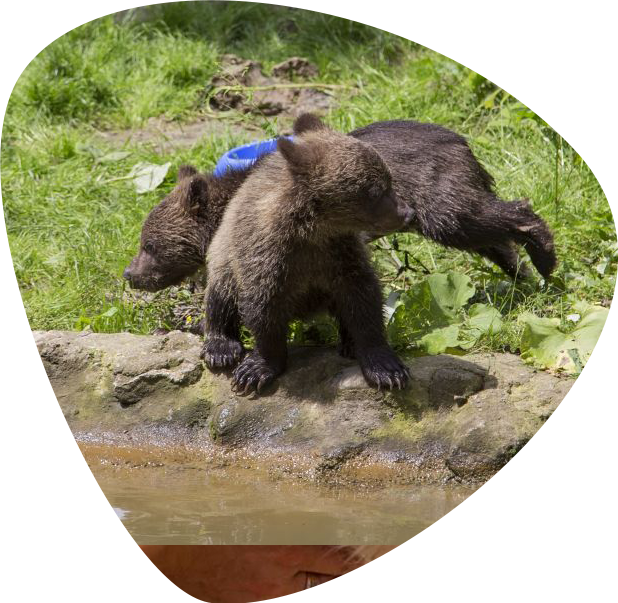 The “Libearty” bear Sanctuary is not a zoo! The mission of the sanctuary is to save the captive animals who lived in miserable conditions, offering them the necessary care, decent living conditions in a natural environment within an area of 69 hectares of forests, streams and pools. The “Libearty” Sanctuary does not receive any public funds! It is built and administered by the Millions of Friends Association, a non-governmental organization. 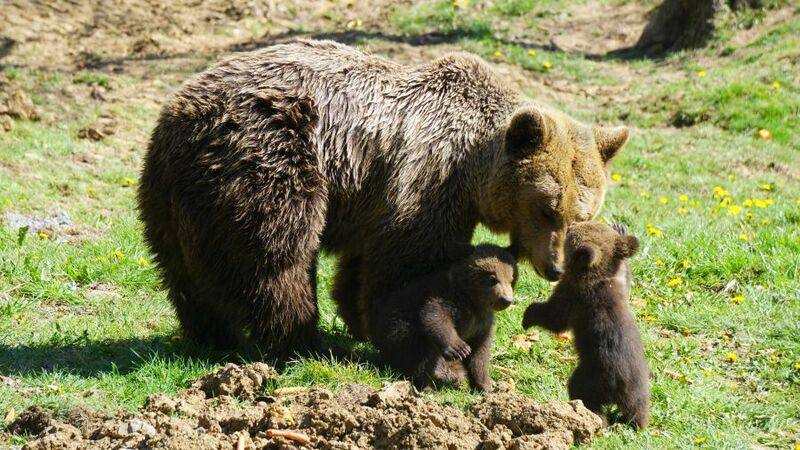 For safety reasons, for the smooth running of the visit and for the welfare of the bears, children under five years are not allowed inside the “Libearty” Bear Sanctuary. Please be prepared to provide a document certifying the age of the children. Students over the age of 25 DO NOT benefit of the discount ticket! The access inside the sanctuary with any kind of photo-camera, is charged with an extra 50 lei, excepting the tours that are dedicated specially to professional photographers. Persons with disabilities have free entrance to the sanctuary, but the features of the road do not allow the access with wheelchairs, frames or crutches, and the road can be difficult for people with locomotor disabilities! On weekdays declared officially free, weekend prices are applied. Do not get close to the electric fence! It’s dangerous! The fee for filming documentaries is 200 euro/hour. This is not a zoo! It’s our forest. Please respect it! Do not throw us food, because we don’t need it! Please switch off your mobiles! Do not use the flashes! They bother us! Do not eat or drink in front of us! It’s rude! Stay together, follow the guide and listen patiently to our stories! Do not make any noise! Thus, we will know that you are our friends!